I was SUPER excited yesterday when I received this in the mail! 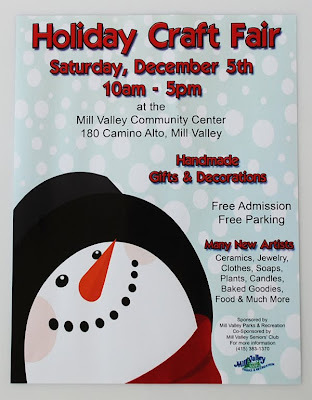 My Dear Darling's first ever craft show will be at the Mill Valley Holiday Craft Fair on December 5ht! :D I applied for it a couple months back and got accepted. I'm stoked and I hope that you'll be able to stop by to say hello.